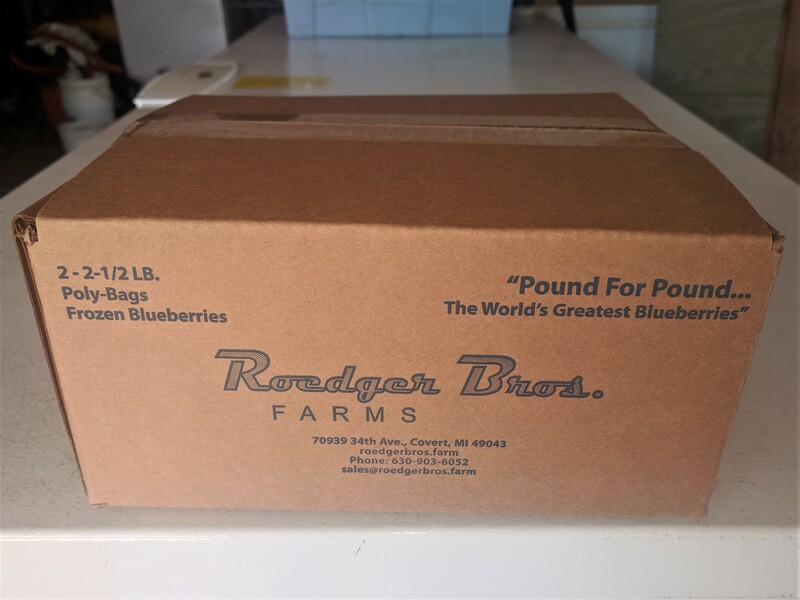 We believe Roedger Bros. Blueberries are bar none the finest available anywhere on planet earth and are of course great for smoothies, baking pies or muffins, in ice cream, on cereal or as a fantastic cool treat right from the bag! Once payment is received you will be notified with an e-mail confirmation a day or two before the delivery date that will also have the cell phone number of your delivery person. Please feel free to call your delivery person on the day of delivery if you have any questions (need directions, etc.). Your order will be available at your desired below pickup location (Choose from the 8 listed in the drop down menu*) on the next delivery date. Click on the link that says "Enter email address/pickup location" and leave the following info in the box (name, e-mail address, phone, home address) and desired pickup location. And then be sure to leave us an e-mail at sales@RoedgerBros.Farm with: your name, best e-mail contact, phone and home address or just slip a note in with your check. We also do have limited "pick up by appointment" options. Please e-mail sales@RoedgerBros.Farm or call Roedger Bros. at 630-903-6052 to set up a pickup time. © 2016 Rocdger Bros. All Rights Reserved :: Powered by Dot Phase Inc.